1. How staying calm an effective discipline for your tween? 2. How showing confidence an effective discipline for your tween? 3. How offering a praise an effective discipline for your tween? 4. How giving a gentle reminders an effective discipline for your tween? One of the most tiring things for parents of tweens is having to constantly repeat themselves and yell to try to get children to behave appropriately. What most people don’t realize, however, is that this yelling and repetition often has the opposite of the desired effect. With tweens, what you say and the way you say it can make all the difference in your child’s behavior. Children of this age need to feel respected. When they feel respect, they will be more likely to give you the behavior you want. Stay Calm – Keeping a neutral tone will prevent the situation from escalating and will let your child know that you are firmly sticking with your guns. Show Confidence – When you establish rules, make sure you enforce them consistently and confidently so your tween knows that there is no room for negotiation. Make eye contact and call your child by name when giving direction or correction. Offer Praise – Provide specific praise when your tween does something good. We often get so busy disciplining that we forget to recognize appropriate behavior. Just a simple statement like “I really appreciate you helping with the dishes. It made my life much easier” can do wonders to promote good behavior. 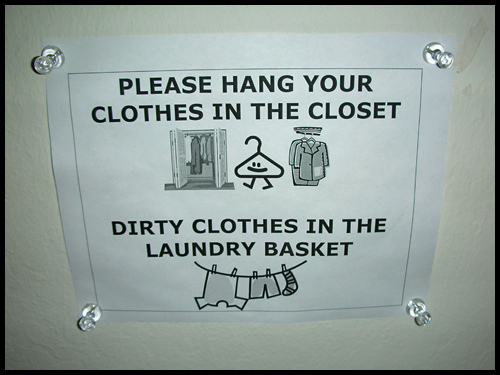 Give Gentle Reminders – Remind your tween to pick up his or clothing as he leaves the bathroom. When she goes to her room, remind her that no video games are allowed until after homework. Offer Choices – Instead of always saying no, offer alternatives to activities and/or behaviors that are not allowed. Allow Discussion. If your tween is passionate about something she wants, allow her to make her case and to explain what she wants and why. Also be willing to offer a valid explanation for why you must say no if you aren’t willing to allow the behavior. Be Brief in Reprimands – Instead of giving an hour-long lecture when your tween breaks the rules, keep it as brief as possible. State what is wrong, why you do not approve, and what the consequences will be. Then let it go. Nagging and yelling will only cause your child to tune you out and will build walls between you. There is no doubt that parenting a tween is one of the most difficult jobs of all time. Children at this age are starting to go through many physical and emotional changes that can have you wondering if your child has been replaced with a pod person. Just remember that this phase will pass and you can make it through. With love, respect, kindness, and patience, however, you can make it through this phase with a well-behaved child and a closer bond than ever before. Sara G. is a writer for http://www.how2becomeanfbiagent.com/. If you have always wanted to become an FBI agent, take a look at this site today.